This is the fourth post of a series on Individuality. Read the first, second, and third article. What is the best way to learn? What is the precondition that ensures a learner gets the most out of whatever it is that she is learning? Great classroom, inspiring teacher, well-written textbook, tools, and interactive software—they all assist learning. But these things are external; they belong to the environment. Is it surprising that the key to maximal learning needs to be internal, something that comes from inside the person? The key to maximal learning is one simple thing: the will to learn. You will learn the most when you want to learn. Curiosity, self-will, the drive to ask, to think, and to do is under appreciated. Yes, it’s talked about in motivational articles and books, but it is still treated as an extracurricular subject. It’s nice to have, but you don’t have to have it to survive. There’s not much program on how to train someone to be curious, especially for adults. We were all curious when we were kids. It was so natural; we went after what we were curious about without much thought. But the growth to adulthood often does not sustain this pattern. I think it’s safe to say that many adults stop learning and being curious at some point. How did we lose curiosity and how to get it back? Most people associate learning with school; school with the dread of endless classes, assignments, and exams, all of which are imposed upon them. Someone else told them they had to learn. The Pew Research Center in 2015 reported a reading survey that 28% of Americans did not read a book, in whole or in part, in the previous year. When broken down by age, the older people were, the less they read. For most of someone’s first three decades of life, he goes through imposed learning. By this I mean that a set lesson has been prepared for the person and he simply goes through the program step by step. This structure can bring a lot of good, encouraging discipline and systematic learning. It also introduces the person to various subjects before he could develop his own interests. But the weakness in this general system is not in what it commits, but in what it omits. Amidst the abundance of exams and standardized tests, it’s easy to forget to ask the question, what is it that the person wants to learn? How can we encourage him to continue to learn after all schooling is done? When learning is 100% imposed, a person is on the receiving end of someone else’s will and thought, with no account of his own will. 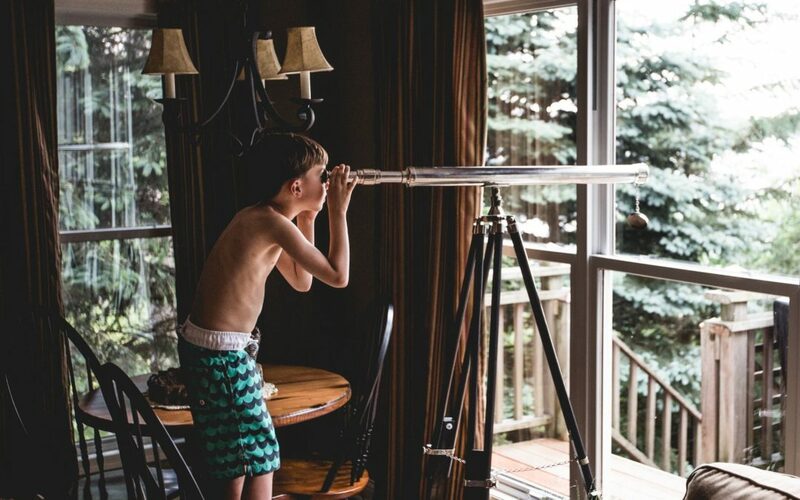 If there is no space to exercise his own curiosity and self-will, is it really a wonder that he grows up into an adult with no motivation for learning? If the curiosity muscle doesn’t get exercised, it will atrophy. The general arc of our formal education goes from theoretical to practical. Learn the theories first on paper, then go out to practice them years later. The problem is that this gap takes a long time. Some never practice their knowledge until they’re in their twenties. They swim in theories without knowing what they are for; ever heard students say, “Why am I learning this for? I will never use this in my entire life!” By the time they get thrown into real life situations, they would have forgotten the important key lessons and they don’t know what to do. What is missing is the synthesis of all the subjects they have learned in school. How does history connect to math and to the arts and to science? Why as a student in this age do I have to learn all these things? I don’t believe we spend enough time answering these types of synthesis questions. Yet there may be an easier approach to address issues that stem from a theoretically overloaded learning system: practical knowledge. In any class, the practical aspect of knowledge—how does a lesson apply to real life—is always the most interesting part of learning. So why not integrate this as part of the curriculum, not as an occasional insert to the classroom, but as the engine of learning. When the connection between theories and practice happens, two things take place. First, you find out how the theories apply to real life. Oh, that’s what they mean by that. Second, you find out that not everything works like they do on paper, and they are called to make decisions and judgment based on wisdom and character, not just their intellect. This is about practical knowledge, the street know-how to handle what you don’t know, and to exist, live, and work as a full human being. Exposing students face to face with real life problems would increase the likelihood of someone finding something that incites his interest. Inspiration, instead of lethargy, is more likely. It’s helping them find a personal connection to what they are learning, the birth of their individualities. This feeding to the inner life of a student is the key to breeding self-learners who are motivated to contribute to society. How do we train people who can identify with a problem and seek out the skills needed to solve that problem? How do we empower them and make them believe that they can learn and discover by themselves? If we could teach self-learning, the skill will be an asset that keeps compounding for the rest of the students’ lives. The beauty of falling in love with a problem is that the multidisciplinary synthesis we struggle with in the classroom gets addressed naturally, because not one real life problem deals only with one particular subject. At the very least, it requires you to deal with other people, which automatically necessitate communication skills and empathy. The key point is this: we should use our individuality as an engine for learning. Find what we’re interested in, and learn everything that interest touches. This is even more important when we’re out of school, now that no one’s telling us to study. If we were to grow, then we must exercise our own curiosity and self-will. The good news is that we live in a century in which the democratization of learning is a reality. In the age of the Internet and open source learning, there is nothing that cannot be learned from books and online resources. Experts are a tweet away or an email away, and the 21st century rewards those who are generous with their expertise. Don’t wait. Ask questions, find out what you’re curious about, and pursue it.